I haven’t made meat loaf in a while and was asked why. So I made Cheesy American Meatloaf. 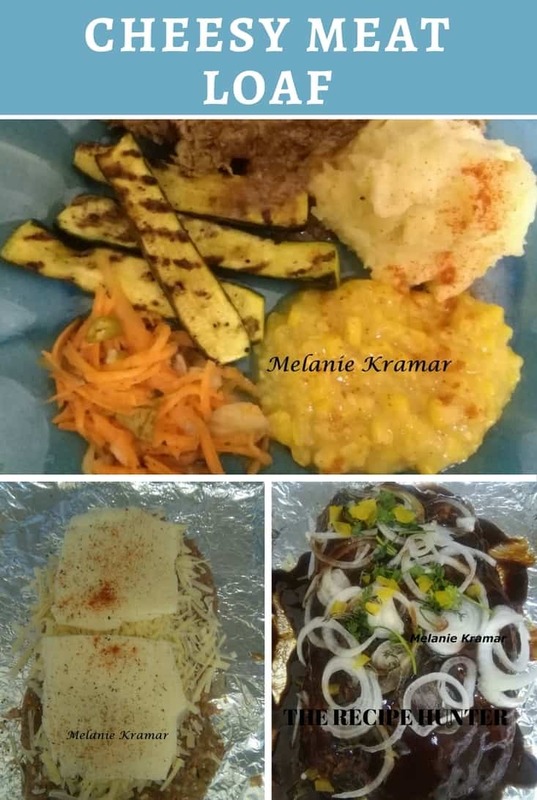 I was going to make cottage pie, so I served it with mash potato instead and grilled zucchini. Mix everything together (except mozzarella cheese, sliced onion and thyme) and combine. Line a baking tray with foil. Add half the mince mixture and shape with your hands. Add the mozzarella slices and then add the other half of the mince mixture and shape, making sure you sure the cheese is sealed in. Refrigerate for 30 minutes. Top with sliced onion and thyme. Bake in a preheated oven at 170C degrees – I have a fan assisted oven – for an hour.